Around 220,000 litres per second of pours over the cliff face, and then rushes under a pedestrian bridge (great photo opportunity here!). 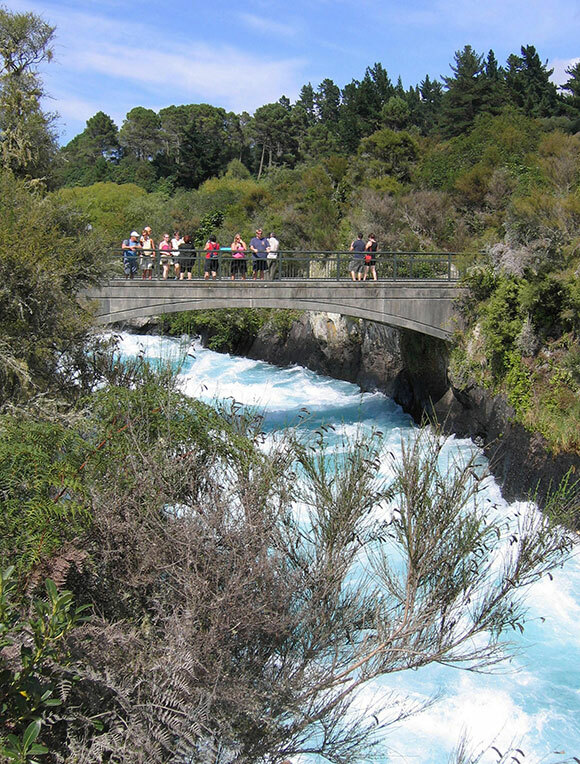 The water then bursts out of its rapids, over the 11 metre falls, and back into the Waikato River. 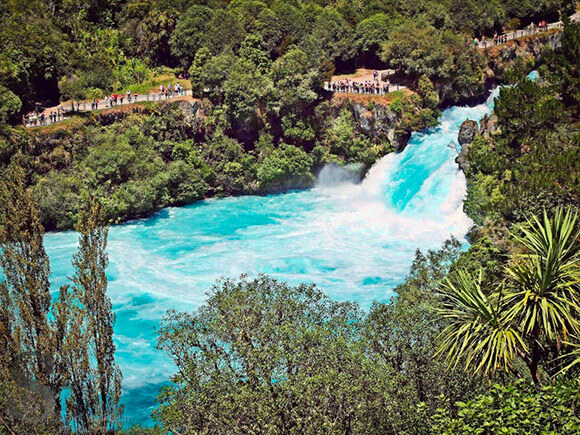 Experience dazzling views of the falls and river from the pedestrian bridge.